It is difficult to arrive on the last day of the individual World Championships, knowing that we still have one day for the team tournament, and to bring new comments on a competition that was of a very high standard. My colleagues, in previous days, have explained a lot of things to which I fully subscribe. The 2018 edition of the World Championships was beyond our expectations, in terms of the technical quality and commitment of athletes from around the world. For example, I would not like to emphasize again the incredible percentage of positive scores we have recorded. But I do, because it's such an encouraging sign for years to come. Nearly 90% of the matches were won on a positive score! This is judo and modern judo. For the past seven days, I have been truly impressed by the ability of competitors to enter the tatami, bow and be immediately ready to compete. This will to win is striking and I really enjoyed it. Let us not hide our happiness. In the past, we always had some athletes who climbed on the tatami to win and who made medals, but sometimes playing a little with the rules. Now the rules are simple: to win you have to score. We still have some matches that are not pleasant to watch sometimes, but overall we have seen some very amazing judo. Guram Tushishvili (GEO) is the new heavy weight World Champion. As for today and especially its conclusion, the Georgian Guram TUSHISHVILI has shown that he has the calibre of a great sportsman. Just keep in mind that at the weighing, he was only 109.5kg on the scale, when in this category, some competitors exceed 150kg. Yet in the end he won and in the best way possible. Everyone knows him now and knows that his strong point is the shoulder movements. Everyone is ready to counter him and prevent him from applying them. But it happens almost every time and if it is not on a shoulder movement, it is also on sode-tsuri-komi-ashi, sasae or even o-soto-gari, right and left. What a collection of beautiful techniques! I repeat that it is rather difficult, if not impossible, to perform a drop-seoi-nage, but he is able to do it. He is not only powerful, because he has to be at that level, but his technique is perfect, his timing exemplary, and in addition, today, maybe more than any other day, he showed a lot of intelligence in the management of his matches. We have seen him wait until the opportunity comes up. He managed it perfectly in the final, while the Azeri blocked the ends of his sleeves to prevent him from launching his shoulder movement. But the Georgian needed only one opportunity. He took it and scored. He is a beautiful world champion. 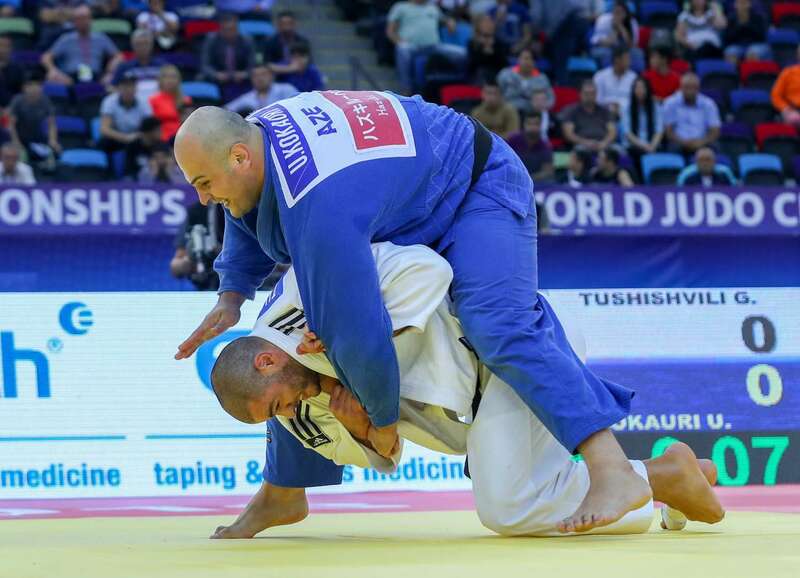 For the other athletes in the category, especially the heaviest of them, it's difficult to face Guram, because he is sharp, precise and he is afraid of nothing. The difference in weight, he uses it to his advantage. He is not fighting like a heavyweight and that disrupts the usual tactics. 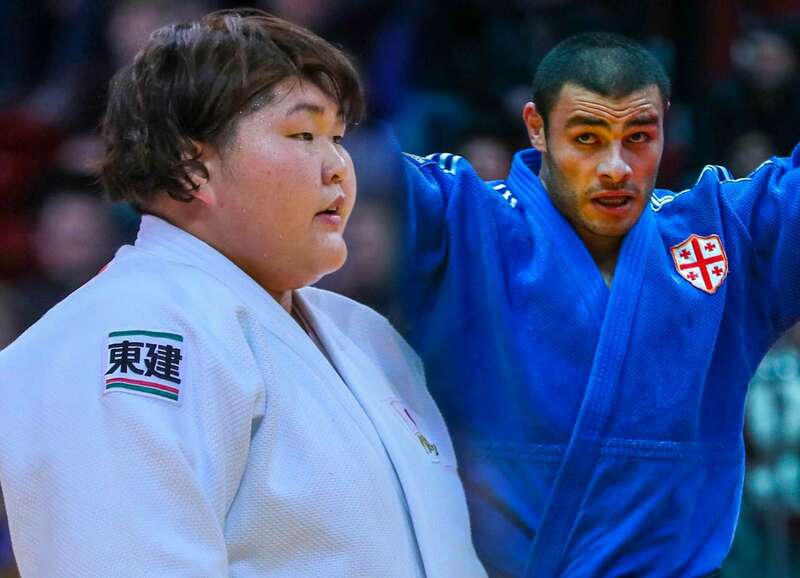 One thing that surprised me during this judo week is the position of the competitors. We really saw straight and offensive statures. It was particularly visible in the -73kg category. Judoka have powerful backs that allow them to stand up straight. This is a plus for the show as it has a positive impact on our sport. 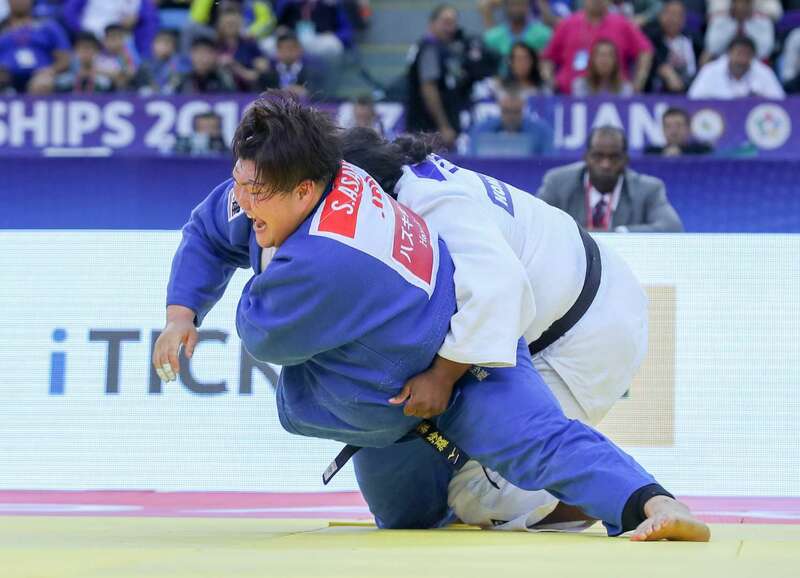 I must also add, that there has been much debate on the prohibition of the leg grabbing over the past years, but how not to notice that the judo comes out better and more spectacular. Since there is no longer the fear of seeing your opponent dive into the legs at the slightest attack, we see beautiful and ample techniques. The prohibition of leg grabbing actually gives more freedom to attack. There is always a dimension of defense in the judo, it is normal, but today the judo which wins is the offensive judo. It is a great responsibility to organize an event such as this one. There is a lot of pressure on the athletes, of course, but also on the organizers and on the teams of the International Judo Federation. In the end, we all had a lot of fun discovering our new world champions. I am really happy to see a new generation of champions who were born in Baku. We have a lot of medalists who are in their early twenties, not to mention Bilodid, for example, who, at the height of her seventeen years, showed that she was already the best in the world. She showed an impressive maturity. On the ground for example, it is admitted that it takes years to acquire the necessary experience to be efficient. But the young Ukrainian is already the best in her category and when she gets down to the ground, she does it with authority and determination as a judoka of great experience. We still have a good day of judo ahead of us, with the mixed team tournament, which will see its second edition in this format before it enters the program of the next Olympic Games. I'm sure we will still see this judo that we love. Vladimir Barta Vladimir Barta is a Czech judoka who was World University Champion. He competed at the 1980 Olympic Games and won many medals at international tournaments. He was a national coach for five years and since 2007 has been the Head Sport Director of the International Judo Federation. He is also a member of the IJF Executive Committee.